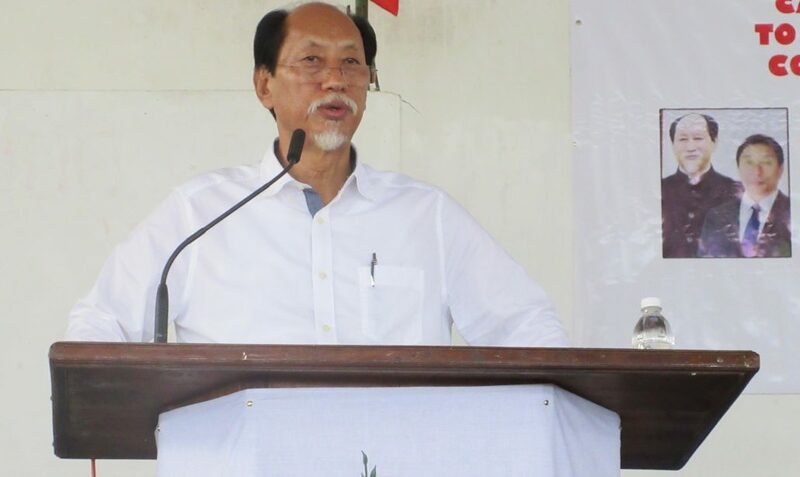 The Naga People’s Front (NPF) on Monday has asked Nagaland Chief Minister Neiphiu Rio to make his stand clear on the clarification of NDPP over Rio’s purported statement on integration of all contiguous Naga areas. The NPF was of the view that the issue had become a big hurdle in the ongoing peace process. The opposition NPF also warned that, should the peace process get derailed, Rio and the PDA government should be held solely responsible. In a press statement, NPF said the ruling party’s statement defending the ‘indefensible statement’ of the Chief Minister on the issue of integration was applaudable, but cautioned that the Nagas could not be taken on ‘a joy-ride or convinced by such pointless arguments’. NPF further stated that being the Chief Minister of the State, it was expected of him to make his stand clear on important issues like integration and Citizenship (Amendment) Bill, 2016. The NPF also accused the ruling party of being unable to face the truth and hence trying to cover up the matter by claiming that NPF was ‘spreading lies and propaganda’, despite Rio’s statement in New Delhi on June 12 over integration being widely reported in the media. The statement further said that now, it was for the Naga people to judge whether NPF was reiterating and asserting the legitimate rights of Nagas or spreading lies and propaganda as alleged.